Origins of this spy shot are still fuzzy, along with the photo itself. 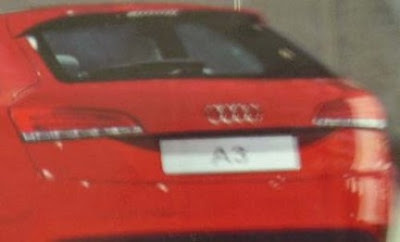 However, this may be what the rear end of the 2011 Audi A3 may look like in production form. As you can see, the styling is reminiscent of the Q5 along with new LED rear lights. We hope to find out where this image came from and hopefully we will see more of these shots to confirm the overall design facelift for 2011.